If it’s true what they say about wheat being a great source of energy owed to its richness in carbohydrates, then it’s also true that whole wheat is a goldmine of precious substances. Alimentary fibre (soluble and insoluble) is the most well known component and is considered to be the most important nutrient for health. The benefits of wheat, however, don’t only depend on the presence of fibre. 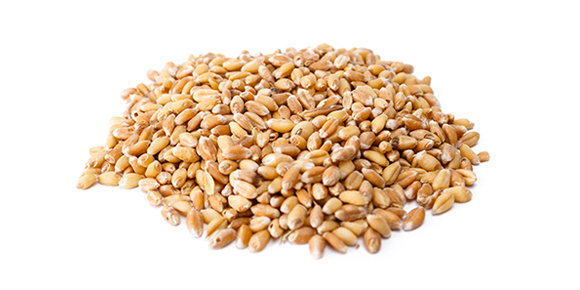 In fact, wheat also provides protein, vitamins, minerals and antioxidants that promote good metabolism, protects the heart, and regulates blood sugar, in addition to combating excess weight and obesity, thus defending the body against inflammation and some types of tumours (particularly intestinal), as well as combating oxidative stress. 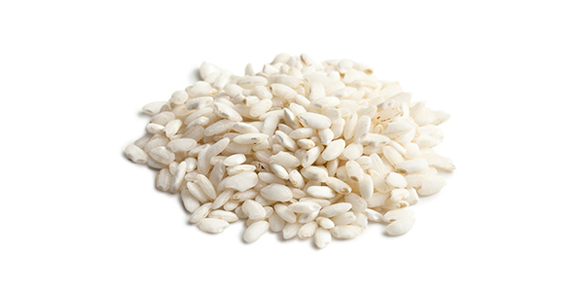 Rice is a food that’s rich in starch and has great nutritional and energetic value, together with astringent properties. Digestibility is among rice’s principal characteristics that are associated with a higher level of nutrient absorption at the intestinal level. More than 90% of it is composed of carbohydrates, 7.5% proteins, and 1.3% fats. What’s more, rice’s glucose component has a regulatory effect on intestinal flora; hence it modulates the digestive process and prevents both constipation and diarrhoea. The high potassium content, together with vitamin B complex, makes rice an ideal food during times of physical fatigue. Its low fat content and high level of essential fatty acids makes it a useful food source in the preventing hypertension and cardiovascular disease. Rice is a gluten-free food, and may also be consumed by dogs and cats with gluten intolerance. Corn is ideal for those animals that are gluten intolerant as it is completely gluten-free. It’s a source of folic acid and vitamin B1, which is indicated for nutrition during pregnancy. Moreover, corn has a high level of iron and other minerals. It’s highly digestible and rich in alimentary fibre, and for this reason it’s a precious ally of the stomach and intestine. The fibre contained in corn slows down absorption of sugars, and thus contributes to the maintenance of low blood sugar levels. Legumes are a valuable source of protein and minerals, such as iron and calcium. They are low in fat and particularly suitable in low-fat diets. Lentils contain high amounts of soluble fiber, which help to lower cholesterol. They are considered beneficial to keep the digestive system health. They have good antioxidant properties thanks to flavonoids and niacin. Chickpeas are rich in magnesium, calcium, phosphorus, iron and potassium. They also contain copper, zinc and vitamin A. Their intake of magnesium is beneficial for cardiac circulation and to reduce the risk of heart attack. Chickling peas are a food rich in proteins useful for the heart, teeth, bones and muscles. Also they contain vitamins B and PP, calcium and phosphorus. Fava beans are rich in protein, fiber and mineral salts such as potassium, iron, phosphorus. Contain vitamins A, B, C and E.
Fava beans held energizing action, diuretic and tonic, as well as laxative thanks to the fibers contained in them. They are indicated in the case of urinary tract infections, in gallstones, in debilitated patients and in cases of physical and mental fatigue. Chicken is rich in high quality proteins that are fundamental for muscle tissue tone and are known to be important in the growth of puppies because they encourage appropriate and balanced muscle mass development. This meat, in fact, contains a high percentage of complete proteins with all essential amino acids, while at the same time possessing high levels of iron with respect to beef. The presence of these elements is indispensible for muscle health, and the entire body in general, but with very low levels of fat: just 1.1%. 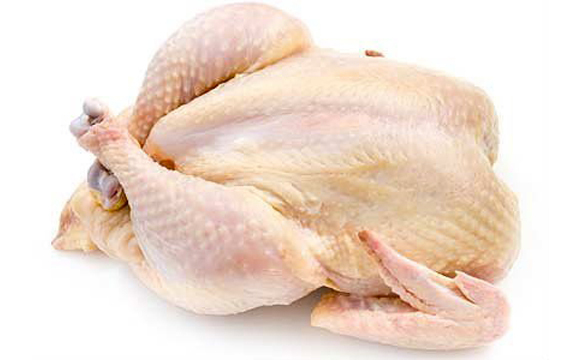 Chicken meat is made up of a particular chain of amino acids that are easily broken down, thus facilitating digestion and absorption of nutritional elements by the intestine. These types of branched chain amino acids (BCAA) also play an important role in the elimination of toxins during physical activity, making this meat particularly important in the nutrition of dogs that are particularly active.In spite of its light colour, chicken meat has higher levels of iron than red meat. In addition to providing other mineral salts such as zinc, which aids in hormonal functioning and enzyme production, chicken meat is a major source of vitamin B12 and is highly useful in the metabolic processes that take place in transforming carbohydrates and in the construction of connective tissue. Beef satisfies some fundamental nutritional requirements: high level of quality protein; bioavailable iron; carnitine and vitamin B complex; important minerals; trace and ultratrace elements. Its high protein content, together with high iron levels, is able to stimulate the secretion of growth hormones, making beef an important food source in the diet of puppies, as well as sport and work dogs. 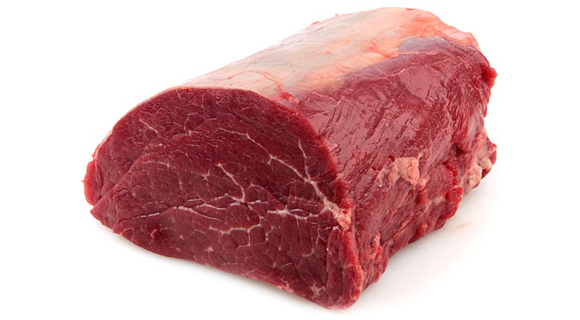 Beef, and in particular liver, is a good source of vitamin B12. Significant levels of fat soluble vitamins (A, D, E, and K) are present in fatty cuts and meat by-products, and the levels of phosphorous, zinc, and selenium are more highly concentrated in these fatty cuts. The lamb meat has a high nutritional value, it is easily digested and recommended for those who suffer from food allergies. It contains a high percentage of high biological value proteins. There are also certain amino acids called “essential” such as lysine, tryptophan, sulfur amino acids, etc. 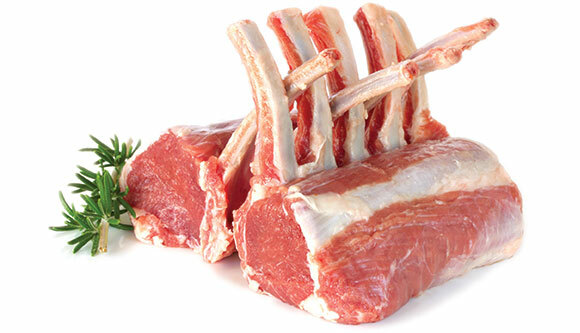 The lamb meat is also an important source of minerals (zinc, copper, selenium and iron) and water-soluble vitamins (B1, B2, B6, niacin and B12) and fat-soluble (E) .The zinc, which is found in meat of lamb, helps the development and proper functioning of body cells. It also stimulates the metabolism and strengthens the immune system. 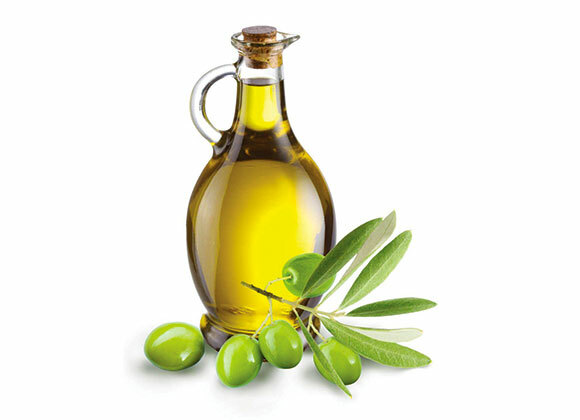 It is also a major source of saturated and unsaturated fatty acids Omega 3 and 6 (in the flesh of infants) including linolenic acid, eicosapentaenoic acid, and docosahexaenoic acids docosapentenoico. 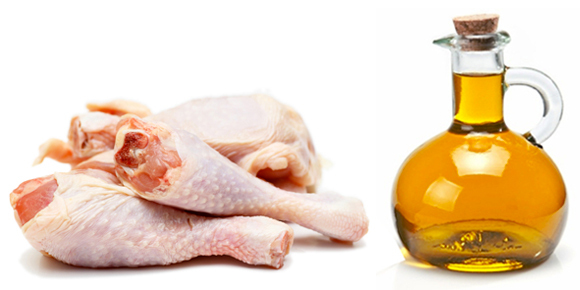 Chicken fat is an important source of lipids: not only do lipids contain a high energy level, but they are also a natural food source that is highly digestible and appetizing. 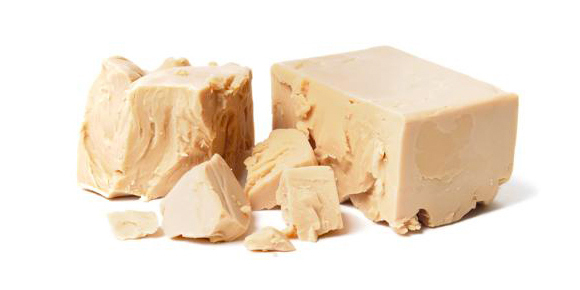 Both dogs and cats need to consume linoleic acid in their diets, which is an essential Omega 6 fatty acid needed for both the skin and fur: chicken fat is especially rich in this. This supplement also guarantees a good balance between Omega 6 and Omega 3, the two main types of essential fatty acids that reduce the occurrence of allergies and skin pathologies. The oily fish is very easy to digest and rich in good fats or Omega 3, also it contains selenium, calcium, iodine, phosphorus, potassium, fluoride, zinc, vitamins A and D. The fat of the oily fish is very important for the health of the heart and the circulatory system. 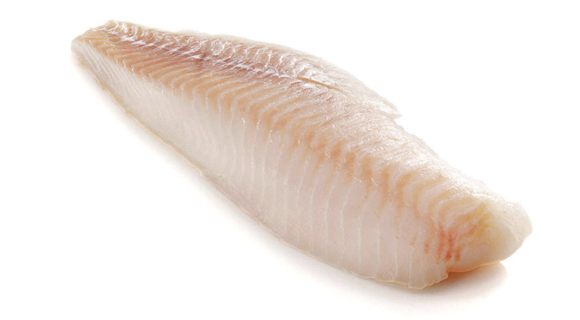 The oily fish is more nutritious and higher in Omega 3 fatty acids than the white fish. Omega 3 are unsaturated fats that promote the decrease of cholesterol levels by acting as scavengers of the arteries, prevent cancers of the colon and pancreas, fighting premature aging. Fish from the Atlantic Ocean contains white meat that is particularly digestible and is a main source of polyunsaturated Omega 3 fatty acids that play in important role in many bodily functions. In addition to being able to improve skin and fur sheen, they reduce inflammation and protect the health of joints. Fish proteins have a high biological value and are especially rich in methionine and lysine. It is also known for its levels of mineral salts, in particular selenium, iodine, phosphorous, zinc, and iron. Atlantic fish also contains vitamin B complex in addition to vitamins A and D.
Olive oil, mainly used in the food industry, is considered the main ingredient of the Mediterranean diet. It, also called liquid gold for its health benefits, is composed of a high concentration of antioxidants such as Omega-6 monounsaturated fatty acid (oleic acid), polyphenols (Vitamin E, oleocantale) and minerals, such as iron, calcium and potassium. Polyphenols are antioxidant molecules that counteract the harmful effects of free radicals and boost the immune system. The oleocantale is a powerful anti-inflammatory. The daily consumption of olive oil prevents the onset of serious diseases, such as breast, ovarian and colonrectal cancer. Moreover, taken in the right doses, it regulates the blood cholesterol levels by preventing cardiovascular disease. Tomato is rich in vitamins and minerals that confer beneficial properties for the body. It contains substances with powerful antioxidant properties such as Beta-carotene, Vitamin E and C, Lycopene, able to slow the proliferation of tumor cells. Widely used in the Mediterranean diet, the tomato reduces cholesterol, the risk of cardiovascular disease, it is an effective anti-cancer and helps digestion. The presence of glutathione, an antioxidant substance, counteracts free radicals and carries out a detoxifying activity as it facilitates the expulsion of the heavy metals from the body, lead in particular. 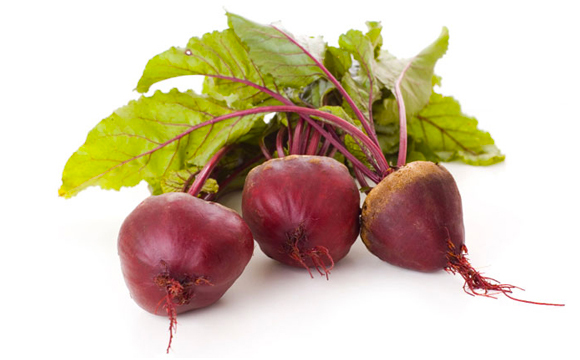 Beet pulp is a source of fibre and encourages optimal digestion that helps to protect the entire digestive tract. Beet pulp is well known for its high content of mineral salts, sodium, calcium, potassium, iron, and phosphorous, in addition to vitamins A, B, and C. Folic acid stands out among the vitamin B complex, also known as vitamin B9, which is particularly useful to take during pregnancy in order to avoid defects during a puppy’s development. Anthocyanin, which are water-soluble pigments are abundantly present in beet pulp, belong to the family of bioflavonoids: these are powerfu antioxidants that play an essential role against disease, keeping the heart healthy, as well as playing an important anti-inflammatory role. 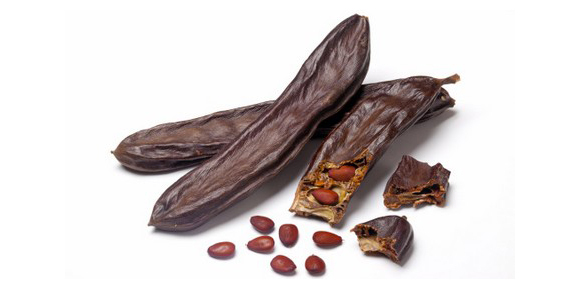 Carob is the fruit of the carob tree, an evergreen that produces pods that are similar in appearance to green beans inside which carob seeds can be found. These seeds are used to make carob powder. Carob is rich in natural sugars and carbohydrates, but low in fat. Carob contains vitamin C, B, E, and is rich in calcium, magnesium, iron, phosphorous, and potassium. Carob provides many benefits to the body: antioxidant, antacid, antibacterial, in addition to being filling (it is able to slow down the rate of gastric emptying, therefore providing a longer sensation of fullness). Brewer’s yeast is highly rich in protein as well as essential amino acids and minerals including potassium, calcium, phosphorous, zinc, chromium, iron, selenium, vitamin B complex, especially vitamin B1 and B12. Brewer’s yeast is considered to be the most nutritious and most natural food source due to its high content of nutrients, and its fermentative properties improve intestinal functioning. Its enzymes aid in the restoration of floral bacteria, which results in a healthier immune system and fertility. It also has a benefit on puppies’ appetites and skeletal conformation. Its main components are: tannin, carbohydrates, lipids, proteins, mineral salts, calcium, sodium, and potassium, phosphorous, copper, and iron. This fruit is especially rich in vitamin B, C, and vitamin P-P (niacin). 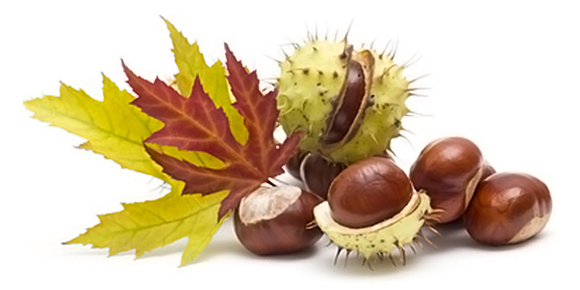 Natural chestnut extract is used as an antibacterial for combating germs and bacteria. It plays an important role at the intestinal level in the treatment of skin pathologies, such as dermatitis, dandruff, and itching. 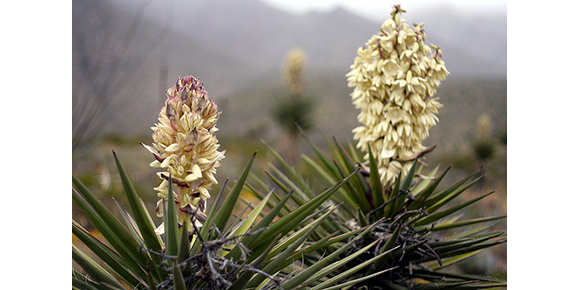 Yucca Schidigera is a plant that’s mostly found in central Nevada, Arizona, southern California, and in the desert of Baja California in Mexico. It contains a fair amount of iron, magnesium, manganese, phosphorous, selenium, and silicon. Yucca is a rich source of polyphenols, as well as containing vitamin A, vitamin B complex, and vitamin C. Among the many benefits that this medicinal plant possesses is its antibacterial property and the capacity to reduce ammonia emissions into the atmosphere that cause faeces and urine to have a bad odour. 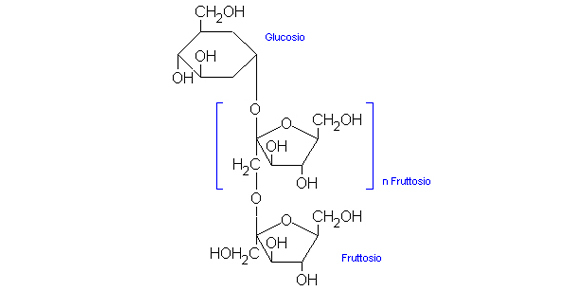 Fructooligosaccharides (FOS) are soluble fibres found in various fruits, vegetables, and common plants, and have a prebiotic action. Once they are consumed, FOS reaches the colon in an almost unadulterated state where they selectively stimulate the growth and metabolic activity of beneficial strains of intestinal flora (like bifidobacterium and lactobacillus). These probiotic bacteria use the sugars in FOS to grow and reproduce, creating short-chain organic acids (acetic, lactic, and formic) that inhibit the growth of pathogenic bacteria. They improve digestion, the absorption of nutrients, and faecal quality by balancing intestinal bacterial flora.